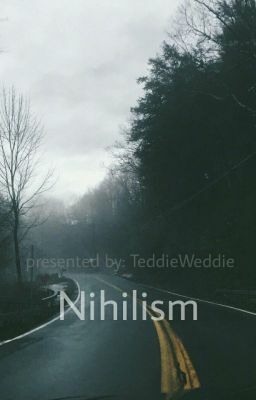 nihilism : &quot;the rejection of all religious and moral principles, often in the belief that life is meaningless&quot; ---- &quot;Why do you live as though nothing is real?&quot; his best friend asked him. He was silent for a few short moments. &quot;Because nothing is actually real to me. Nothing matters,&quot; he paused. &quot;I'm not real. God is not real. You could shake my hand and feel flesh on flesh moving in sync, but it's not actually there.&quot; He paused again, collecting his thoughts. &quot;There really is no point to anything in life. There's life and death. That's how I see it... We only have this pointless time that we are given and then we die. No matter what you do, we all end up the same.&quot; ---- disclaimer: many, many offensive things to be in this. also, trigger warning due to depression, suicide, addiction, and well- nihilistic point of views. read at your own risk.